The Assistant Director of Communications (Communications Manager II) is responsible for providing leadership, strategic and tactical planning and direction to the Communications office for Residence Education and Housing Services and Residential and Hospitality Services. The Assistant Director of Communications will serve as a liaison with the Residential and Hospitality Services Brand Managers, University departments, and internal and external partners to promote the Residence Education and Housing Services and Residential and Hospitality Services brands. The Assistant Director of Communications is also responsible for collaborating with Residential and Hospitality Services Marketing Communications to develop, produce, and distribute high-quality written, web and audio communication and marketing materials for Residence Education and Housing Services. This position oversees full-time Residence Education and Housing Services Communications team members and creates professional development plans for them. Knowledge equivalent to that which normally would be acquired by completing a four-year college degree program in Journalism, Telecommunications, Marketing, Advertising, Public Relations, or related field; three to five years of related and progressively more responsible or expansive work experience in public and media relations; composing, editing and publication production; news, broadcasting, and print media; and/or marketing, advertising, and creative services; graphic design; word processing; desktop publishing; web design; presentation; spreadsheet and/or database software; public presentation or radio production; or computer programming/technology; and/or experience in a field related to are of employment; may require management and supervisory experience; or an equivalent combination of education and experience. To Apply: Please submit an online application, cover letter and resume on the Michigan State University Human Resources website: www.hr.msu.edu; click Careers. Search for Job number 453013. The title is Communications Manager II. The due date is August 8, 2017. Job Types: Full-Time. 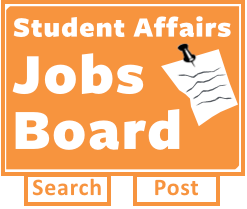 Job Tags: Assistant Director and Communications.